The excy XCS 260 portable recumbent exercise bike gets the number 1 spot on our list for good reason. Though this is not a low price product, it certainly delivers for the price. 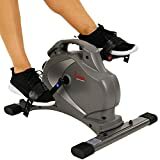 This portable exercise bike is a gym quality bike. This can be used for a low intensity workout with full body resistance. 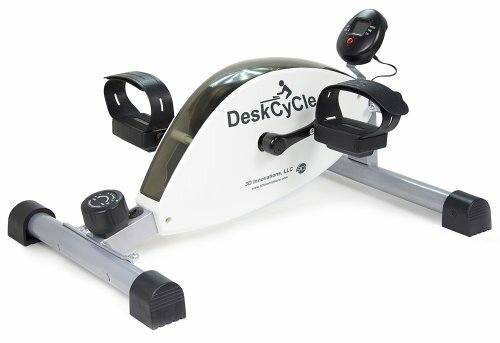 It can be used under your desk as a desk cycle or even as a unicycle bike. It has a very compact footprint and does not limit itself to one place. You can use this in the office or your home, indoor or outdoor.The bike is adjustable to whatever position you deem comfortable while you sit on your own seat. It has a sturdy build so you don’t have to worry about foot slippage or the bike going here or there when you get high intensity. The excy XCS 260 portable recumbent exercise bike only weighs 14 pounds so you can carry it around with you and it lives up to its title. The bike is built to be quiet so you could be exercising under your desk and no one would know. The dimensions of the bike are 30 inches by 15 inches by 5.5 inches. Let’s see the pros and cons of owning this bike. It has a durable metal design built for indoor and outdoor use. This is perhaps one of the best portable bikes on the market right now. If you can buy it we highly recommend it because it has everything you need and everything you would want from a portable bike. This bike is bidirectional and can be pedaled both forward and backward. It has 8 levels of magnetic resistance. This bike is specifically designed for the office. This had some issues with users smaller than 5 foot 7 but they can be resolved with bed risers. This is a great product and it is within a decent price range as well. Watch TV read a book or work at your desk, it is up to you how you use this but this will not bother you in your day to day activity one bit. So if you want to get fit on your work time and double your productivity then this is the bike for you. 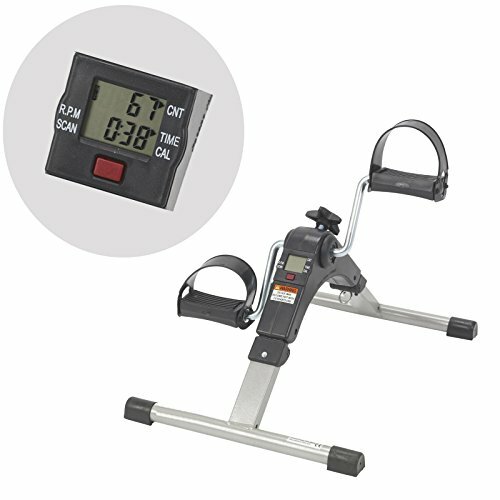 The Sunny Health and Fitness SF-B0418 magnetic mini exercise bike gets the 3rd spot on our list. So what makes this mini exercise bike such a great option? Well like most on the list, it can easily be used under your desk while you work. It has a magnetic system that keeps the ride smooth and quiet.This mini bike has a tension knob that will help you switch from 8 different levels depending on your current fitness level and your future fitness aspirations. It has a LCD that displays time spent, distance travelled, ODM, speed and calories burned. This bike has dimensions amounting to 22 inches in length, 18 inches in width and 14 inches in height and it only weighs about 21 pounds. 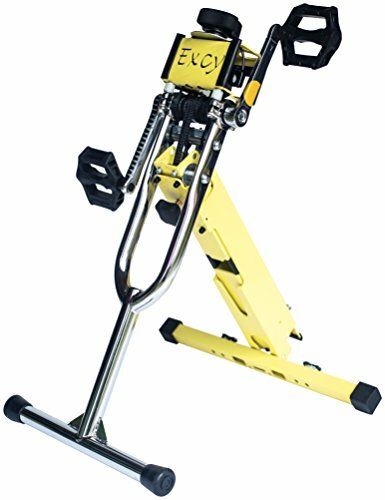 It has a belt drive system and if you want you can even place it on the top of a desk and exercise with your arms so this machine can be used for both your upper body and your lower body. The bike has a maximum user capacity of 220 lbs. which is pretty impressive for a mini bike. Let’s check out the pros and cons of owning this bike. 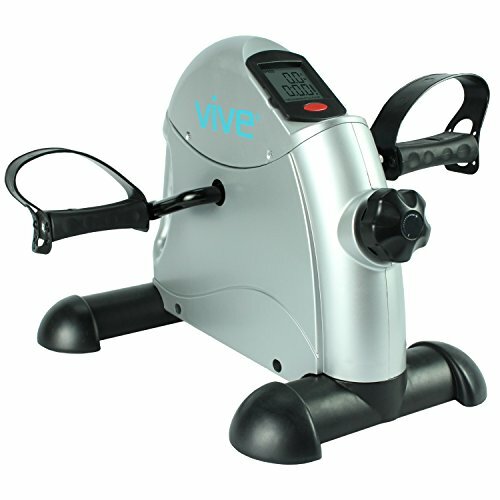 With the Sunny Health and Fitness SF-B0418 magnetic mini exercise bike you can work out your upper and your lower body. This mini bike has a user capacity of 220 lbs. Magnetic system which helps keeps it quiet and smooth. This bike is very affordable and worth the price. There are some complaints of the bike moving during exercise. It has a compact design that will fit under any desk. It has adjustable resistance that you will be able to use based on your needs. It has non slip pedals. It only weighs 12.7 lbs. There are some concerns regarding the quality of the bike and how sturdy it is. This bike only weighs 7 pounds. This bike has 4 anti-slip rubber pads on the bottom to avoid any slippage. Since it is a low budget bike, the construction is not the greatest. For a low budget bike the AdirMed Digital Foldable Mini Floor Foot Pedal Exerciser Leg Machine has some pretty good features. If you can’t afford a high end bike then we recommend buying this one.